Tony Culyer is emeritus professor of economics at the University of York (England), Senior Fellow at the Institute of Health Policy, Management and Evaluation at the University of Toronto (Canada) and Visiting Professor at Imperial College London. He is chair of the Board of the International Decision Support Initiative (iDSI). He was the founding Organiser of the Health Economists’ Study Group. For 33 years he was the founding co-editor, with Joe Newhouse at Harvard, of Journal of Health Economics. He was founding Vice Chair of the National Institute for Health and Care Excellence (NICE) until 2003. He is Editor-in-Chief of the on-line Encyclopaedia of Health Economics. For many years he was chair of the Department of Economics & Related Studies at York and, for six of them, was also deputy vice-chancellor. He has published widely, mostly in health economics. He is a Founding Fellow of the Academy of Medical Sciences, an Honorary Fellow of the Royal College of Physicians of London and an Honorary Member of the Finnish Society for Health Economics (2013). He holds an honorary doctorate from the Stockholm School of Economics and is a Commander of the British Empire (CBE). 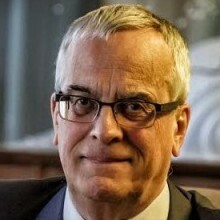 He has been a member or chaired many policy committees and boards in the UK and Canada including authoring the 1994 reforms of NHS Research and Development and being a directorship of the Canadian Agency for Drugs and Technologies in Health (CADTH).